The story of the Cuyahoga River fire of 1969 - the event that sparked pop songs, lit the imagination of an entire nation, and badly tarnished a city's reputation - is built more on myths than reality. 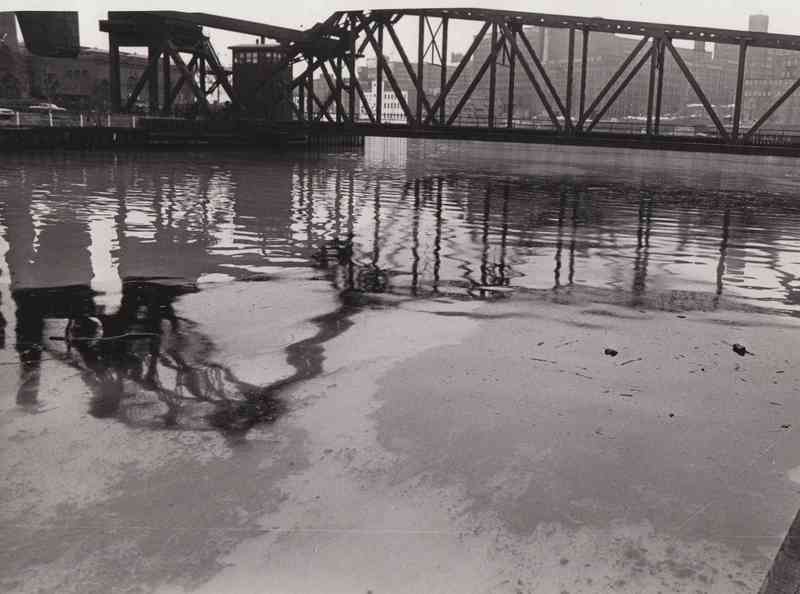 Yes, an oil slick on the Cuyahoga River - polluted from decades of industrial waste - caught fire on a Sunday morning in June 1969 near the Republic Steel mill, causing about $100,000 worth of damage to two railroad bridges. Initially the fire drew little attention, either locally or nationally. The '69 fire was not even the first time that the river burned. Dating back to the beginning of the twentieth century, the river had caught fire on several other occasions. The picture of the Cuyahoga River on fire that ended up in Time Magazine a month later - a truly arresting image showing flames leaping up from the water, completely engulfing a ship - was actually from a much more serious fire in November 1952. No picture of the '69 river fire is known to exist. 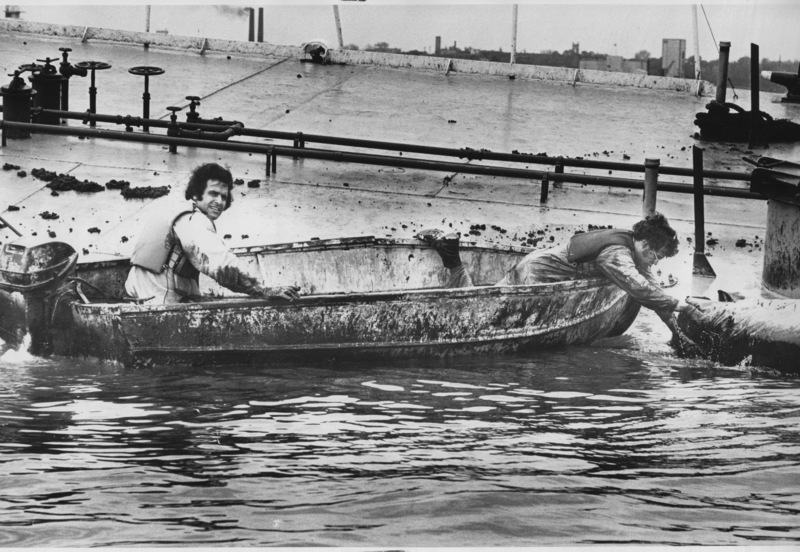 Throughout much of Cleveland's history, water pollution did not trouble the city's residents very much. 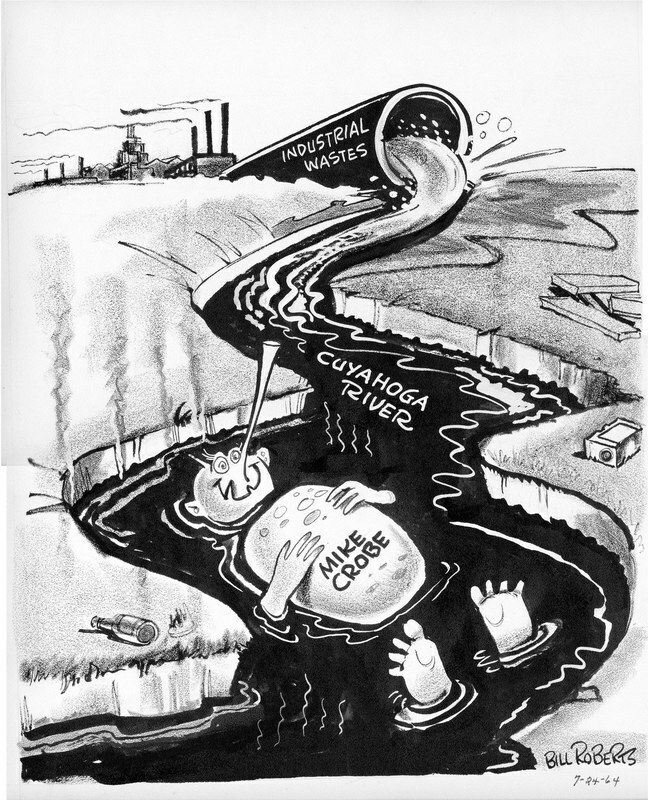 Instead, water pollution was viewed as a necessary consequence of the industry that had brought prosperity to the city. This attitude began to change in the 1960s as ideas associated with what would become known as environmentalism took shape. In 1968, Cleveland residents overwhelmingly passed a $100 million bond initiative to fund the Cuyahoga's cleanup. Also, by this time deindustrialization was somewhat alleviating the pollution problem, as factories closed or cut back operations. 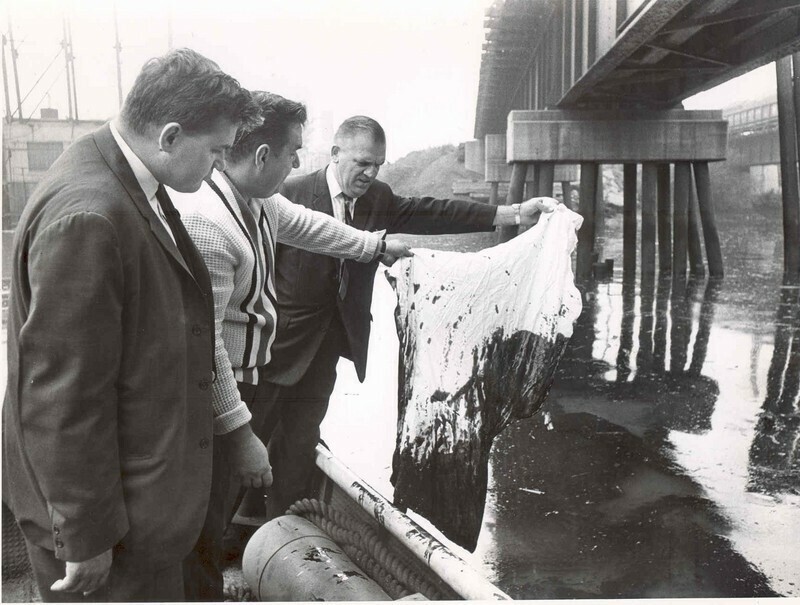 Ironically, the city and its residents were beginning to take responsibility for the cleanliness of the river in the years before the infamous fire of 1969. The '69 fire, then, was not really the terrifying climax of decades of pollution, but rather the last gasp of an industrial river whose role was beginning to change. Nevertheless, Cleveland became a symbol of environmental degradation. The Time article contributed to this, as did the notoriety of Cleveland Mayor Carl Stokes. 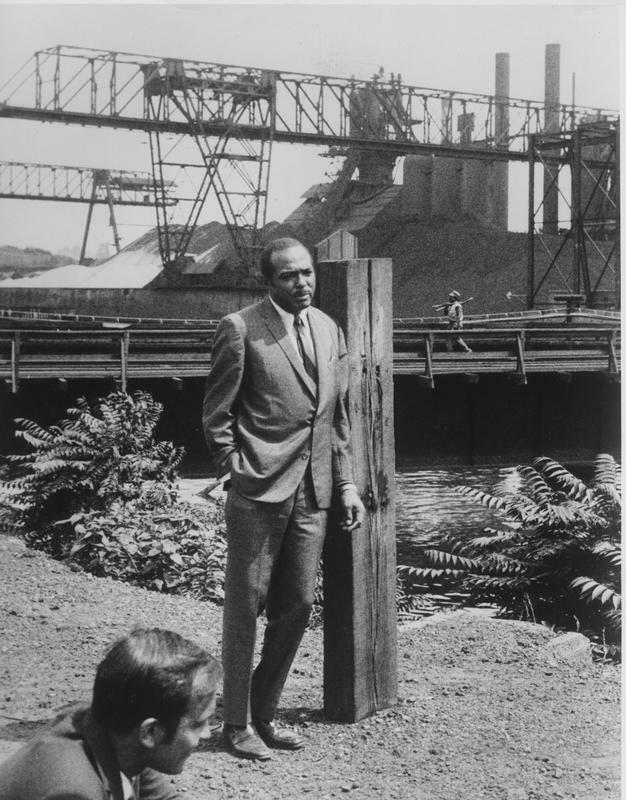 Stokes, who was the first black mayor of a major city when elected in 1967, became deeply involved with the issue, holding a press conference at the site of the fire the following day and testifying before Congress - including his brother US Representative Louis Stokes - to urge greater federal involvement in pollution control. The Stokes brothers' advocacy played a part in the passage of the federal Clean Water Act of 1972. In Cleveland, a number of Cleveland State University students celebrated the inaugural Earth Day in 1970 by marching from campus to the river to protest pollution. 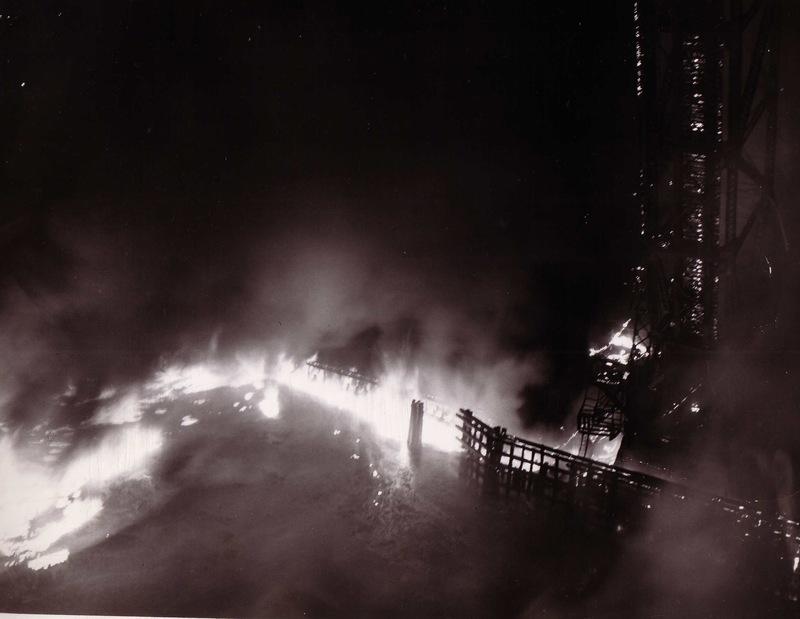 Even though it has been misunderstood, the 1969 Cuyahoga River fire did help bring about positive change. The river's water quality improved during the following decades, and business investors capitalized on this by converting parts of the Flats' abandoned industrial landscape into an entertainment district featuring restaurants, nightclubs, and music venues. 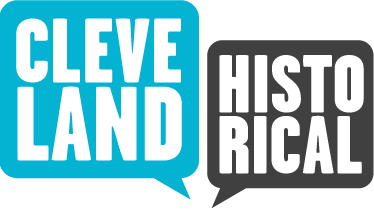 Much of the industry that both made Cleveland rich and caused its river to burn may never be coming back, but Clevelanders are meeting this challenge by reshaping their city to reflect its current realities. 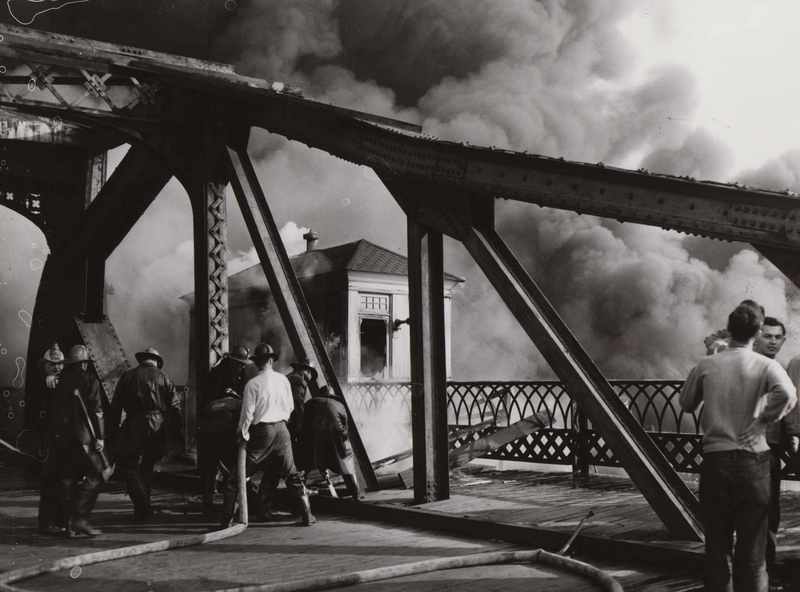 Michael Rotman, “Cuyahoga River Fire,” Cleveland Historical, accessed April 24, 2019, https://clevelandhistorical.org/items/show/63. 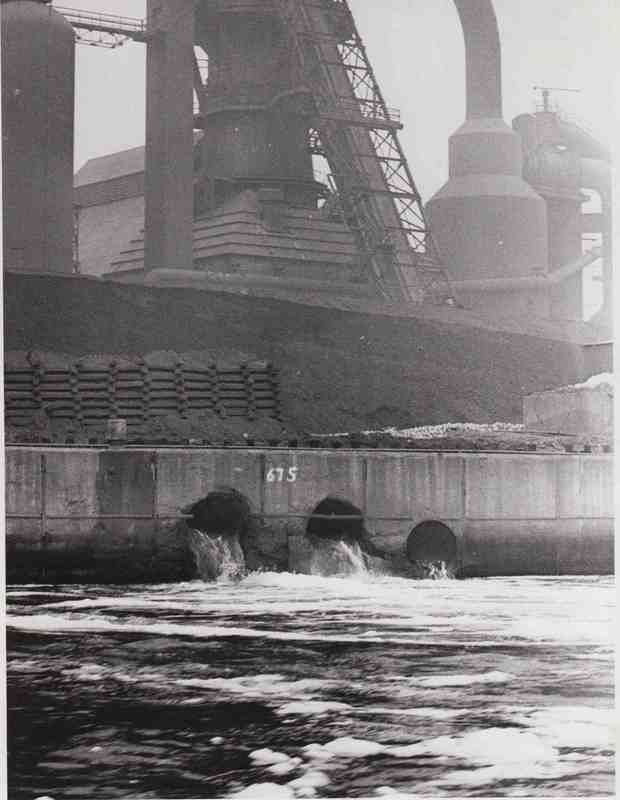 David Stradling and Richard Stradling, "Perceptions of the Burning River: Deindustrialization and Cleveland's Cuyahoga River," Environmental History 13 (2008): 515-35. Published on Sep 22, 2010. Last updated on Apr 27, 2017.